On November 20, 2017, with the support and invitation of the Embassy of Ukraine in the UK, a number events of Ukrainian human rights defenders with representatives of the British government, British human rights activists, and media professionals, were held in London. 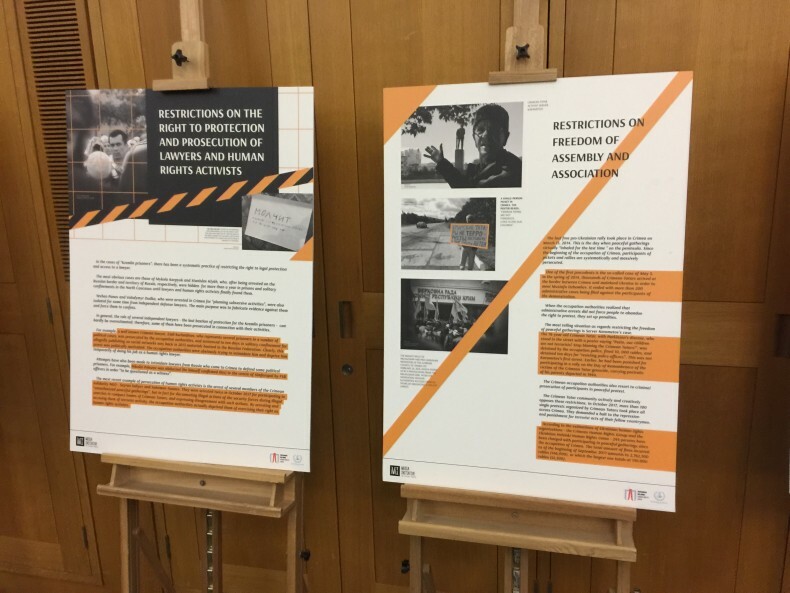 Also in the British Parliament, a presentation and an exhibition on the theme of Russian “hybrid war” and the use of Ukrainian political prisoners in Crimea and Russia as an instrument was held. The organizer of the exhibition was the Media Initiative for Human Rights. Alia Shandra, Editor-in-Chief of Euromaidan Press, and Nadia Volkova, a lawyer of the Ukrainian Helsinki Human Rights Union, represented Ukraine. The first meeting was held with the head of the Ukrainian department, as well as a representative of the Russian department at the Foreign and Commonwealth Office (FCO). One of the agreements reached was that FCO would consider the possibility of public statements regarding the access of doctors and the provision of medical care to political prisoners whose state of health is critical, as well as the prosecution of Crimean Muslims belonging to the Hizb ut-Tahrir. The possibility of imposing personal sanctions and the possibility of applying universal jurisdiction to those Russian representatives who participated in the commission of international crimes and violation of human rights against Ukrainian citizens were also discussed. 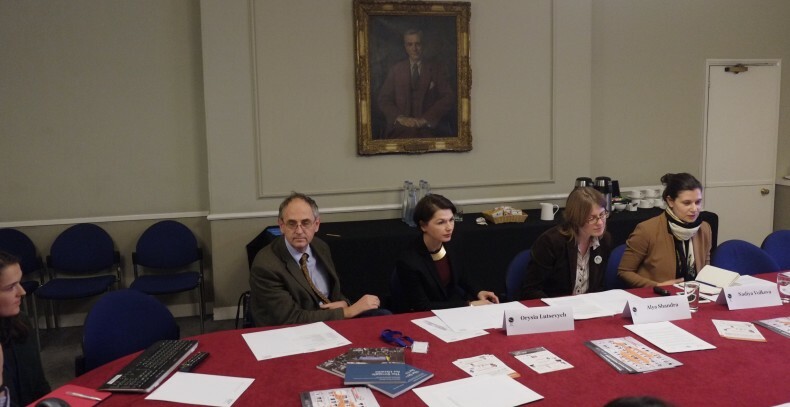 The second event took place at the Royal Institute of International Relations (Chatham House). Among the guests were Edward Lucas, founder and senior editor at The Economist (UK), Denis Krivosheev, Amnesty International’s Russia researcher, as well as representatives of the European Human Rights Advocacy Center, Human Rights First, Head of the Crimean Tatar Diaspora in the UK, and others. During the meeting, the parties discussed the possibility of transferring sanction lists and the formation of a British sanction legislation, taking into account the need for its application to Russian violators of the rights of Ukrainian citizens. 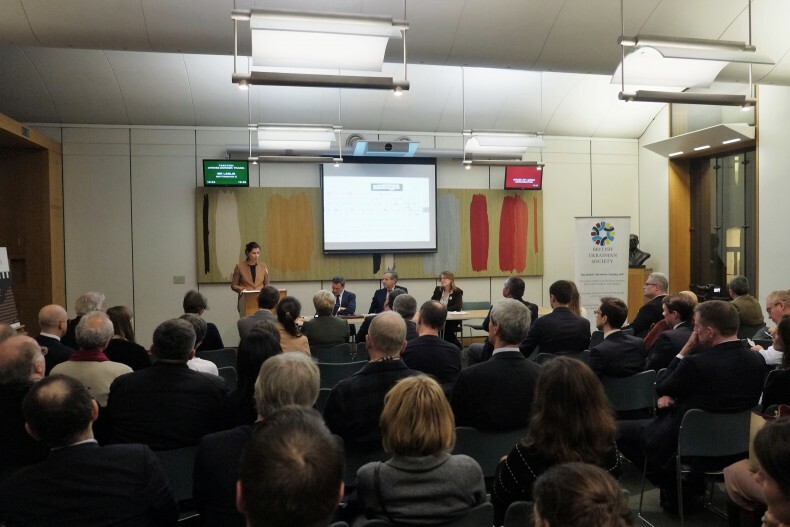 Finally, a meeting held in the British Parliament and organized by the British Ukrainian Society and the Embassy of Ukraine in the UK, Robert Seely, British MP, military correspondent and researcher, also met with the Ukrainian human rights activists. The moderator was MP Lord Richard Risby, chairing the British Ukrainian Society in the UK. During the presentation, Robert Seely presented the definition of the hybrid war, its components, and tools, one of which is the use of political prisoners. Alia Shandra presented the history of political prisoners, emphasized that all these people were victims of gross human rights violations and continued to be used as an instrument of Russian propaganda. Nadia Volkova spoke about legal and non-legal mechanisms used by human rights activists to protect the rights of Ukrainian political prisoners, namely, international courts, mechanisms of universal jurisdiction, and sanctions. Nadia paid particular attention to the concept of a unified state strategy for the return of Ukrainian prisoners. She called British parliamentarians to help create an international negotiation platform involving world leaders in the negotiation process. In addition, human rights activists passed recommendations to the British Parliament on the protection of the rights of Ukrainian political prisoners, including regular public statements, litigation visits by members of the British government, and promotion of an international negotiation platform for their return.